Fuchsia were a British Progressive Folk-Psych band who released one self-titled album in 1971. Guitarist and vocalist Tony Durant now lives in Australia and earlier this year released From Psychedelia to a Distant Place under the name Fuchsia II (see fuchsiamusic.com). 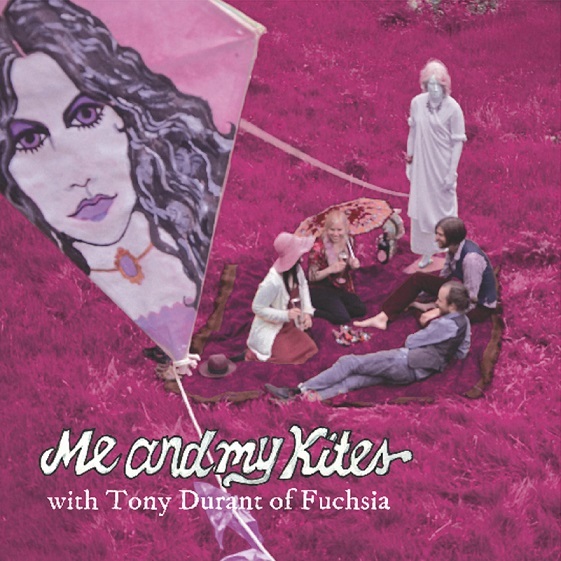 Me And My Kites are a Swedish band named after a song from the debut Fuchsia album who contacted Durant through his web site and sent him some of their music, resulting in Durant collaborating with the band. The Band is a Me And My Kites cover of a song that had been slated for the never-released second Fuchsia album, with vocals contributed by Durant. The song is upbeat with a catchy melody, and I like how it transitions between mood and rhythmic pace. And I love the acoustic guitar led yet psychedelically orchestrated feel of the music. Isis’ Adventure is an extended version of a song from Me And My Kites debut album, released earlier this year. It’s got an upbeat feel similar to The Band, having a distinctly 60s pop feel. Except for some vocalizations, the first half of the song is an instrumental with a free-wheeling carefree groove. Then mid-section it transitions to a lysergic dream-like experimental, and ever-changing segment that carries it to conclusion. Very cool.